The CinéStudent Film Festival could not be possible without our sponsorships. This year, we have received many sponsorships from individuals and businesses--without their support, we could not fund this festival. 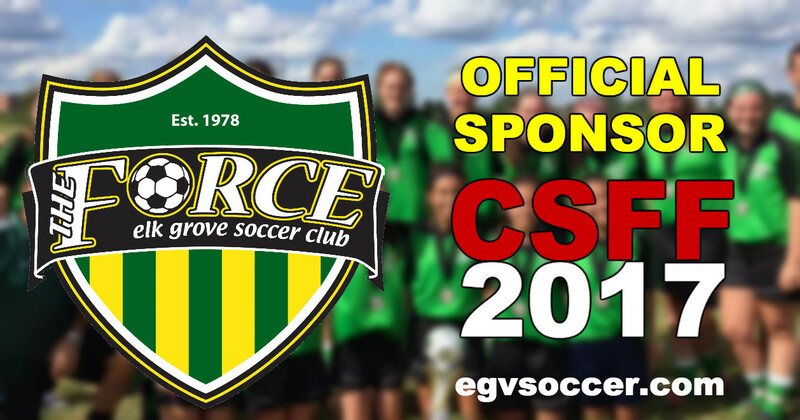 Our official sponsor this year is the Elk Grove Soccer Club. With over 1,100 players and members, the Elk Grove Soccer Club is the premiere soccer club of the Northwest Suburbs. Dedicated to training and coaching players at every level, the Elk Grove Soccer Club hosts both recreational soccer and traveling soccer. The Force is the club's travel soccer team, with both boys and girls teams. Thank you to the Elk Grove Soccer Club for sponsoring the 2017 CineStudent Film Festival!